Dow, speaking at a Bowen Basin Mining Club event in Mackay, said the Adani Group decision followed changes to simplify construction and reduce the initial capital requirements for the Carmichael project. Construction and operation of the mine would begin in the next few weeks, he added. The updated plan is expected to involve an initial investment of $2 billion on a smaller than previously planned mine, with annual production of 10–15 million tonnes of thermal coal. “Our work in recent months has culminated in Adani Group’s approval of the revised project plan that de-risks the initial stage of the Carmichael mine and rail project by adopting a narrow gauge rail solution combined with a reduced ramp up volume for the mine,” Dow said. According to Adani, all coal produced in the initial ramp-up phase will be consumed by the company’s captive requirements. Dow said Adani would begin developing a smaller open cut mine comparable to many other coal mines and would ramp up production over time to 27 million tonnes per annum. “The construction for the shorter narrow gauge rail line will also begin to match the production schedule,” he said. “We have already invested $3.3 billion in Adani’s Australian business, which is a clear demonstration of our capacity to deliver a financing solution for the revised scope of the mine and rail project. Dow believes today’s announcement removes any doubt on the project’s financial credentials. He said Adani would now deliver the jobs and business opportunities promised for North and Central Queensland, without requiring a cent of Australian taxpayer dollars. Adani plans to create 1500 direct jobs on the mine and rail projects during the initial ramp-up and construction phase. It also expects to support thousands more indirect jobs. 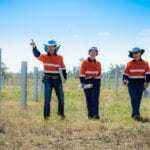 “In addition to providing these jobs in regional Queensland in regional Queensland our Carmichael coal will also provide a power source to improve living standards in developing countries,” Dow said. 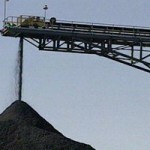 Adani Mining is working with regulators to finalise the remaining required management plans ahead of coal production. It expects this process to be completed and provided by the governments in the next few weeks. The funding announcement has been welcomed by industry groups, including the Minerals Council of Australia (MCA). Tania Constable, MCA CEO, said the Queensland and Australian economies would benefit from thousands of new regional jobs and long-term investment in the mine and rail infrastructure. “And through mining taxes and royalties, the Carmichael mine will generate billions of dollars for taxpayers over decades to fund nurses, teachers, police, hospitals, roads and other services and infrastructure for Queensland families and communities,” Constable said. “The mine will also open up the North Galilee Basin for further development – an exciting new phase in Australia’s rich history of mining exploration and development which has made our nation a global mining powerhouse. Resource Industry Network (RIN) general manager Adrienne Rourke said the creation of a new mine brought confidence to the sector and best positioned this region to provide construction and maintenance services. “It is important to remember that we require continuous support when it comes to developing the Galilee Basin, to ensure the confidence in the market about the future of the METS sector,” Rourke said.